The Melting Pot fondue restaurant occupies a unique place in the dining landscape, traditionally thought of as a destination reserved for special occasions. 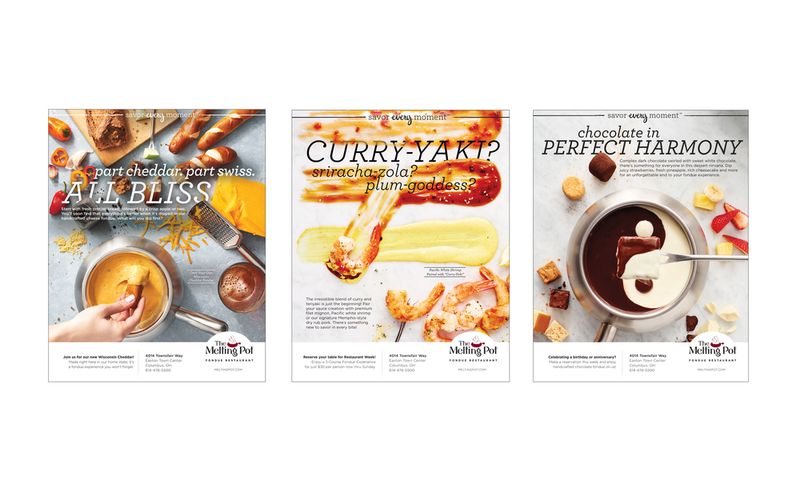 The challenge was to convince customers The Melting Pot was MORE. We needed to identify their most valuable customers and make the most of our investment by targeting them. We believed we’d drastically impact their revenue by bringing that group back for only ONE more visit per year – we just had to know WHO they were. Meeting our goals meant challenging some closely held perceptions about their customers and identifying exactly what it was about The Melting Pot that brought certain customers back. Executing a study of their customer segmentation study as well as an attitude, awareness and usage (AAU) study. The results showed that Millennials were better represented in their core customer base than previously thought. In addition, they accounted for a higher return on investment than the older, more affluent audience they had been so focused on. We also learned that, for this segment, The Melting Pot was not about the food – it was about the experience. Using these insights, we drove a new approach that aligned with Millennials' desire for a more immersive experience and meaningful connection with the brands that they choose to interact with. 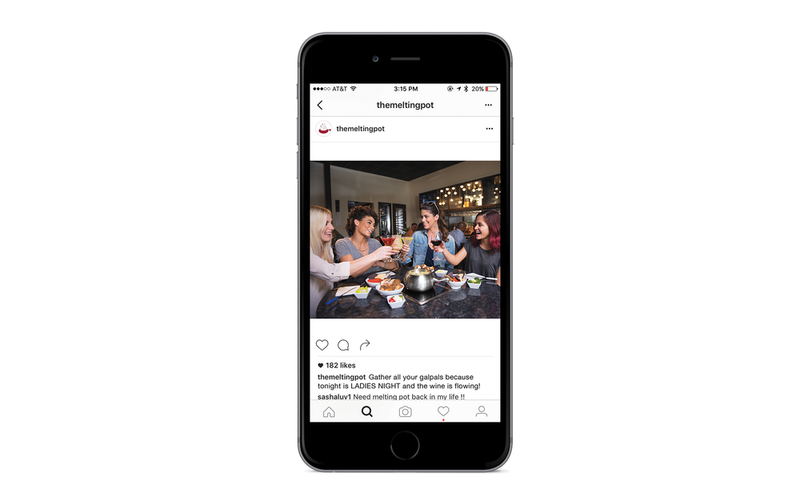 In order for their marketing to resonate with this new audience, The Melting Pot's position in the marketplace was transformed from special occasion dining to a unique destination for an unforgettable experience.